The Hobby Lobby decision implies that it is OK to treat others differently, and unfairly, merely because our religious beliefs dictate that we should do so. This is the sort of logic used by the religious extremists found in any faith: they believe their faith gives them the right to treat others in a way that is not respectful of them or their humanity. The court’s decision is also very carefully written to limit its scope and effect, even though efforts are already underway to extend the impact of this decision into new territory. The justices explicitly state that they did not deem it necessary to address or consider the First Amendment (“Freedom of Religion”) claims of the plaintiffs, since the “Religious Freedom Restoration Act” (RFRA) is applicable to this case, and in the court’s opinion, the defense’s case clearly fails the tests imposed by the RFRA, as passed by Congress under President Clinton in 1993. The justices go on to state: We do not hold … that for-profit corporations and other commercial enterprises can “opt out of any law (saving only tax laws) they judge incompatible with their sincerely held religious beliefs.” … Nor do we hold … that such corporations have free rein to take steps that impose “disadvantages . . . on others” or that require “the general public [to] pick up the tab.” … And we certainly do not hold or suggest that “RFRA demands accommodation of a for-profit corporation’s religious beliefs no matter the impact that accommodation may have on . . . thousands of women employed by Hobby Lobby.” … The effect of the HHS-created accommodation on the women employed by Hobby Lobby and the other companies involved in these cases would be precisely zero. Under that accommodation, these women would still be entitled to all FDA-approved contraceptives without cost sharing. So, at first blush this all seems fairly reasonable, and it was such reasoning that helped lead to the end of the so called “Blue Laws” in many states that required businesses to be closed on Sundays. At that time – a generation or two ago – it was determined that such laws proved an unfair burden for – for instance– Jewish small business owners, who were already closing their shops on Saturdays due to their sincerely held religious beliefs. And, we can go through the logic of the decision written by Justice Alito and see how he came to the conclusions he did – all well grounded, and all reasonable in and of themselves. In fact, nearly all of he objections and cries of anger we hear from those who object to this decision are addressed in the text of the “Hobby Lobby” decision, with careful legal reasoning and very specific legal precedents to back it up. So yes, if one takes a very myopic view of the law and then builds a case using such reasoning, you are likely to come to a conclusion very much in line with the one written by Justice Alito. But, being “right” in a technical sense does not mean that the decision is just. 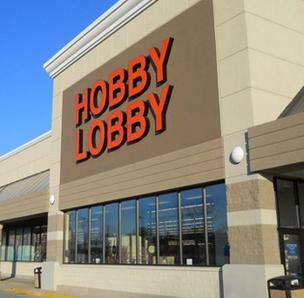 So, my objections to the “Hobby Lobby” decision are twofold. First, the Court has expanded the reach of the RFRA into new territory. Now, not only can a law be struck down if it unduly burdens the owners of a small business in a financial sense (as the Blue Laws did for Jewish shop owners); but, a business owner can claim protection under the RFRA even if the exercise of their own religious freedom negatively impacts others, particularly the firm’s employees and their dependents. Religious freedom has a new dimension: I can now can claim that I am not responsible for the impact upon others of the exercise of my own “rights” – despite SCOTUS’s protestations to the contrary. A consistent theme in American law has always been that if one truly feels strongly about something – involving their freedom of religion, their freedom of speech, etc. ; then they can exercise that freedom, even if it is against the interests of the society as a whole, as long as they are willing to in some way assume responsibility for the exercise of that right. For instance, conscientious objectors have been accommodated in this country since at least the Revolutionary War. However, in exercising their choice to not fight due to their sincerely held beliefs in Pacifism, there was a cost: they had to pay a fine, or perhaps work in some equally demanding and dangerous job for the duration of the war. The choice they made was allowed, but they could not do so without cost. Similarly, when it comes to freedom of speech, it is not an unlimited right. If you shout “Fire!” in a movie theater, or tell a stewardess on a plane that you have a bomb, there are consequences. The freedom to speak your mind is not an unlimited one, there are costs. If you speak irresponsibly, you can be held accountable for your words. So, in looking at this “Hobby Lobby” decision, are these business owners in any way being held responsible for this choice they are claiming based on the RFRA? Is there a cost they must pay to offset their refusal to fully support a law that has been deemed to be in the best interest of society? The answer is “No.” The burden for providing an adequate alternative appears to fall upon the government (if I’m reading the decision’s language correctly) not the business owner. If so, this is expanding government needlessly, and spreading the cost of each business’s refusal among many other people who had no part or say in that business’s decision. This, to me, seems to be an unwise assertion on the part of the court, and a potentially expensive and painful expansion of government – not to mention completely against some of the basic tenets of the Republican Party, which supported the challenge to the ACA that the Hobby Lobby case presents. But, the bigger issue I have with this decision is an ethical one, grounded in the overall mission and vision for our country. That concern rests in the very nature of Democracy, which is a form of government that requires people of different backgrounds, different religious beliefs and different political philosophies come together and work with each other in an effort to adequately serve the interests of all. Democracy is a system that (in theory) values each person equally, and seeks to grant each person an equal voice in the governance of the country as a whole. If so, then the “Hobby Lobby” decision violates this premise at a very basic level. You see, all of the case law cited all seem to be decisions that determined a person to must be treated more equally and fairly than they had been before. The playing field between the powerful and those without power was made a bit more level in each case. They all resulted in the “little guy” having a bigger voice in society and a larger claim to being treated with as much respect and dignity as anyone else. And yet, in citing all of this case law, this decision actually violates that basic premise, because it isn’t the little guy, those without power, who are being given a greater voice. It is not the individual woman or man who is being treated with greater dignity or respect. Instead, it is a corporation, a fictitious person, and benefits only the few who “closely hold” that corporation as their property. The Hobby Lobby decision, instead of increasing the law’s task of supporting the respect and dignity that each and every one of us deserves, actually takes away some of that respect and dignity. The healthcare needs that a woman can receive care for are no longer determined through the input or choice of that woman, but instead are determined by the corporation that is exercising their “religious freedom.” The burden of addressing those needs is not a concern of that corporation at all: despite what the decision claims, the burden is being shifted from the corporation to the public as a whole. The owners of corporations seeking to exercise these “sincerely held religious beliefs” are being allowed to exercise their beliefs in a way that negatively impacts others, and at no cost to themselves. This decision drives wedges between people, making it easier to treat others unequally and unfairly, it creates greater division and rancor within this country at a time when that is the LAST thing we need. Do we really want to open the gates for American law and corporations to travel down this road? Do we really want to make it legal to for us to treat others in ways that they see as degrading or unfair? I think not; because if we do, then we are giving them the right to do the same to us.